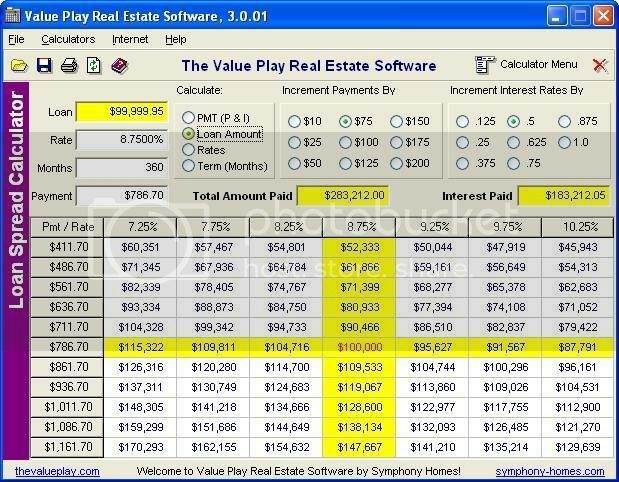 Advanced financial software used for the analysis of real estate properties is NOW AVAILABLE! 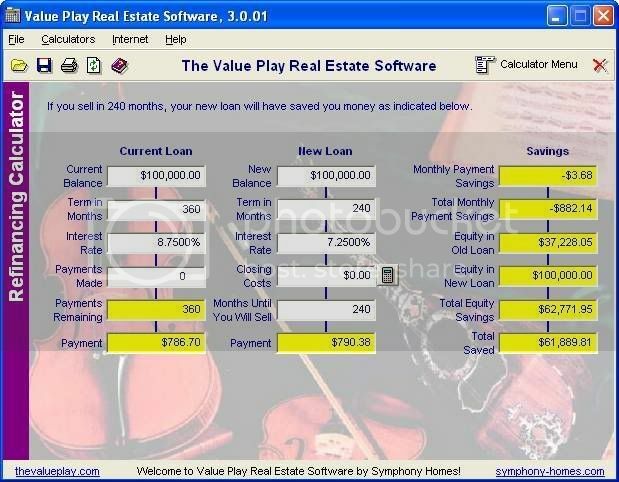 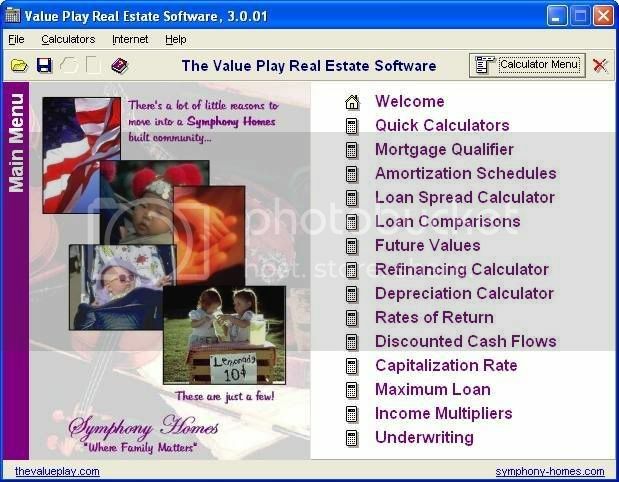 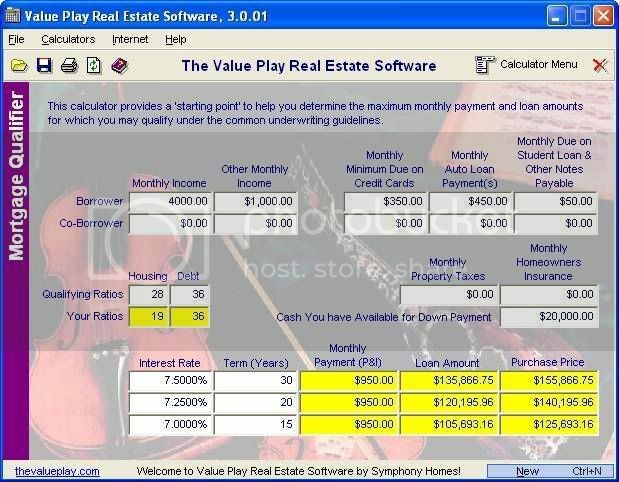 With The Value Play Real Estate Calculator, you can quickly and easily determine even the most complex calculations! 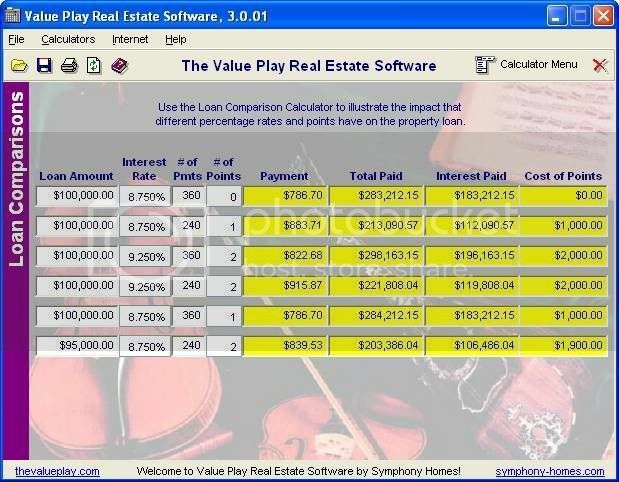 The Real Estate Calculator lets you perform any one of the following functions within seconds!